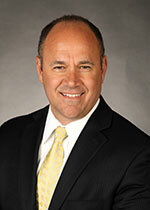 Mark Lane is a member of the firm's Civil Litigation practice. He represents industry and individuals in defending claims of personal injury, property damage and relative to business disputes. Mark also represents small and large construction, manufacturing and engineering companies in construction related litigation, as well as municipalities in public sector liability cases. He represents oil and gas companies in litigation concerned with both bodily injury and property damage claims. He also provides counsel and litigation services to insurance companies in relation to insurance coverage issues. Mark has tried cases throughout Western Pennsylvania and in Northern West Virginia, and in both state and federal court. A graduate of Franklin and Marshall College and the University of Pittsburgh School of Law, Mark practices personal injury, property damage, insurance, product liability and tort litigation. Mark is admitted to practice law in both Pennsylvania and West Virginia, and represents clients throughout the northern half of West Virginia and all of Western Pennsylvania, from the West Virginia border to Erie, and from Harrisburg to the Ohio border. Mark has presented lectures regarding various insurance and tort issues including insurance bad faith, product liability and premises liability. Mark is a member of the Allegheny County Bar Association, the Defense Research Institute (DRI), and the American Bar Association.